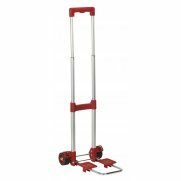 Features extra foldaway toe plate for added extension when transporting larger loads. 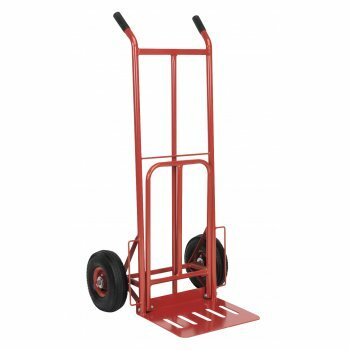 Warranty: 1 YearExtra strong tubular steel frame construction. 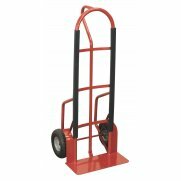 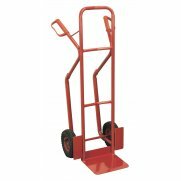 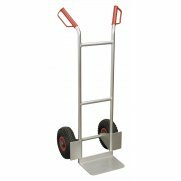 Steel centred pneumatic wheels allow transport over the roughest terrain. 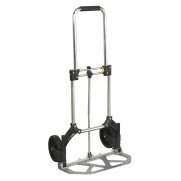 Features extra foldaway toe plate for added extension when transporting larger loads. 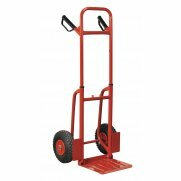 Ideal for delivery drivers, farmers or builders.